Q: I go to “add file to library” and choose the VOB file that I want but it doesn’t upload it to iTunes. Well, the main reason why you can not transfer VOB files to iTunes is that iTunes still can’t recognize VOB format. As far as I know VOB is basically a MPEG-2 video file which is stored in Video_TS folder in a DVD. As this kind of video file usually contains one or several audio tracks and subtitle tracks that are multiplexed together into one stream form, it is not so easy to playback. Do you also have such hassles when playing VOB files in iTunes? If so, hopefully the instructions below can help you out of troubles. Since iTunes only supports MP4, MOV, M4V video formats, in order to load and open VOB video files in iTunes, you need to convert .vob to iTunes supported video formats first. 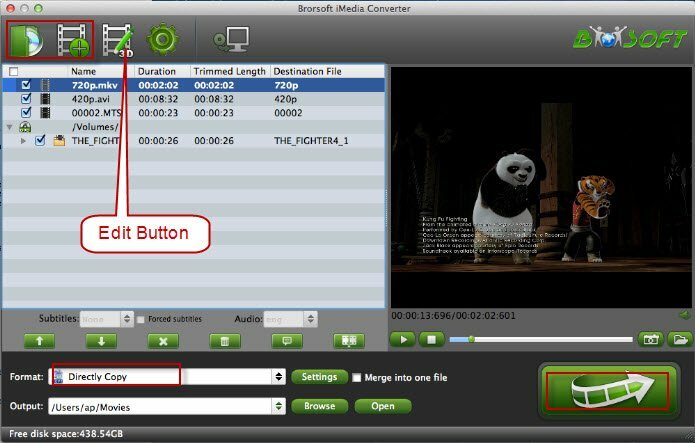 To finish the task, Brorsoft iMedia Converter for Mac is highly recommended – it is the best video converter that can help you convert VOB to iTunes compatible video with high output video quality. This VOB to iTunes converter provides high-qualified and easy-handled conversion process and supports converting from VOB, MKV, AVI, TiVo, MPG, WMV files to virtually any video formats. Meanwhile, it directly offer presets for iOS devices and Apple TV, so that you can import the converted files to iTunes smoothly and play them perfectly on your iPhone, iPod, iPad, Apple TV, etc. If you meet the VOB playback issues in Windows(Windows 8 included), Brorsoft Video Converter Ultimate is the best choice for you. Download it now and follow the steps to convert VOB videos to iTunes for different using. Open the VOB to iTunes Converter Mac program and load the VOB video files from your computer or devices in either of the two ways: 1> Click Add Files to browse and select videos for conversion. 2> Directly drag the files to the program interface to load them. P.S. 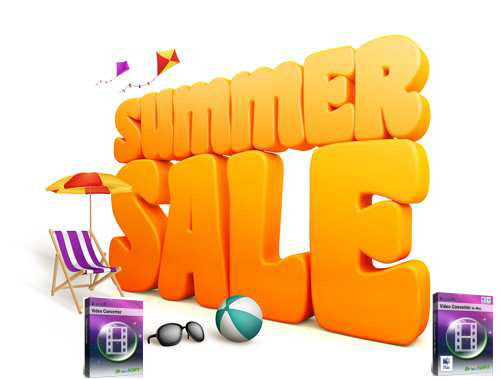 This all-in-one software can also help you convert and add DVD to iTunes, Blu-ray to iTunes. Click the “Convert” button at the bottom right corner, this Mac VOB converter will start to convert VOB to iTunes playable videos immediately. When the process is done, click Open button to locate the converted videos. Now open iTunes and click File > Add Files to Library to import the converted VOB video to iTunes library. Now you can play the VOB files in iTunes without any troubles or just transfer them to your iPhone, iPad, iPod without any restrict.